Australia is one bucket list destination that everyone should visit at least once. Whether you are a luxury traveller, backpacker or just trying to see the world in your holidays, Australia has something for you. But with a country so vast and diverse where do you start? You’ll never see everything in one trip (even if you are backpacking) but with a little pre-trip plannig you can give it a pretty good go. 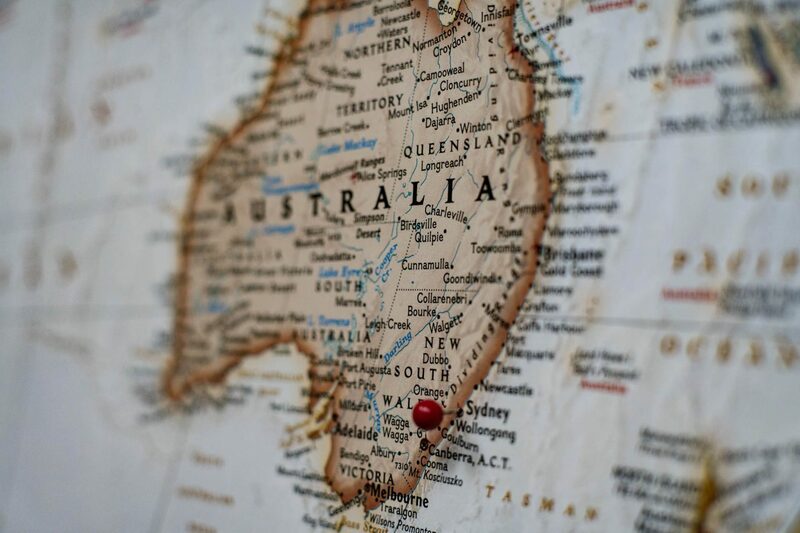 So to get you started here is my state by state guide to help you discover some of the best experiences Australia has to offer. 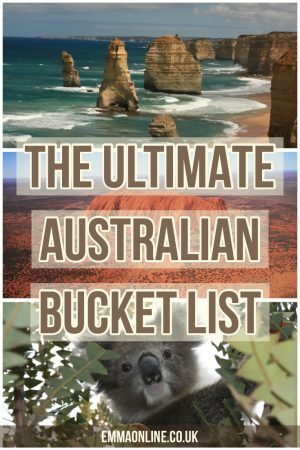 I’ve done most of these on my trips over the years so if they’ve made it onto the list then take it from me they are worth adding to your Australian bucket list. A warm evening, a view of the Sydney Harbour Bridge, a drink (alcohol optional) in hand, music floating through the air. Welcome to a night at the Opera Bar. 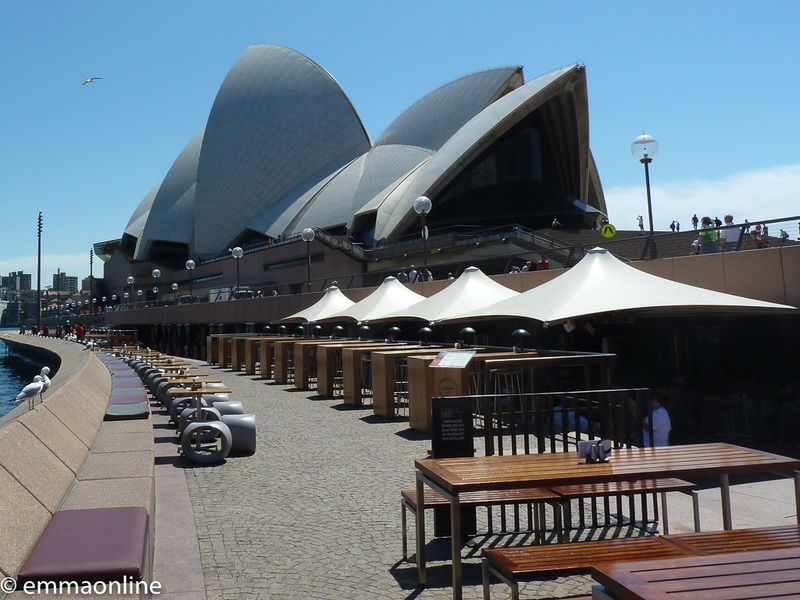 Actually, a drink at the Opera Bar is a must at any time of the day. One of the best places to people watch in Sydney. Make this one of the first things you do in Sydney. Standing on top of one of Sydney’s most iconic landmarks. I’d say is a once in a lifetime experience but I completed my third climb last year so it’s a once (or maybe more) experience of a lifetime. 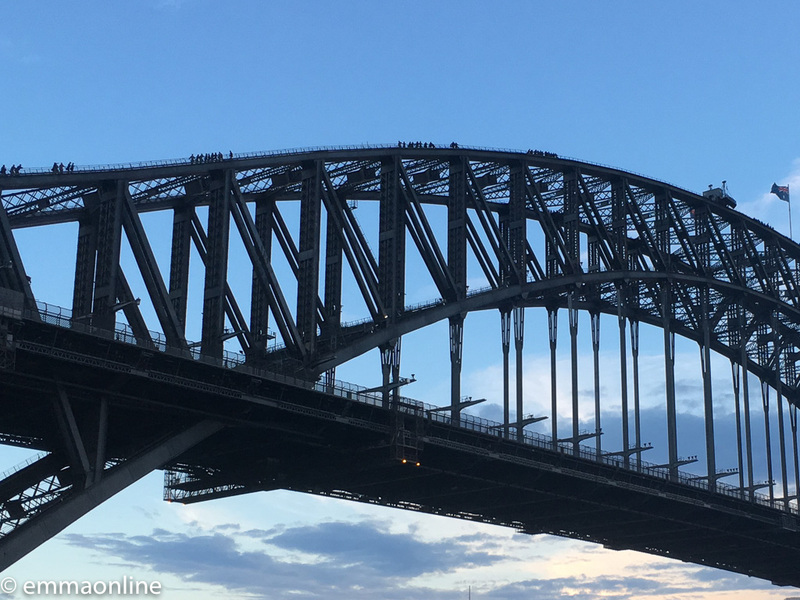 There is nothing quite like standing on top of one of the most famous bridges looking out over Sydney Harbour and while it is a little pricey, it is well worth blowing the budget for. That said, there are climbs to suit most budgets and time available. The full climb, a sampler climb, a night climb, a sunset climb and a dawn climb. I’ve done two day time climbs and one night time. All were great in different ways. The day time one offers great views over Sydney Harbour and the money shot with the Opera House in the background. The night time climb shows Sydney all lit up. It feels strangely peaceful up there in the dark and was quite magical hitting the top of the bridge at midnight. Being up that close to the bridge gives you a chance to really appreciate the scale of it and the guides have a wealth of knowledge to share. So if there is anything you ever wanted to know about the bridge this is the time to ask. So this one depends on timing your trip right but spending New Year’s Eve in Sydney should be right near the top of your bucket list. One of the first cities in the world to welcome in the New Year, Sydney puts on a spectacular show and lays down the challenge for the rest of the world. You can watch the fireworks from many vantage points around the harbour – there are barges letting off fireworks dotted around the harbour – so don’t worry about getting up close to the Harbour Bridge. Being in Sydney for New Year Eve was one of the reasons I went backpacking. I loved it so much I ended up going back for a second new year a few years later. There really is nowhere quite like Sydney to see in a new year. Bondi isn’t the best beach in Sydney but it’s definitely the most famous so it’s a must see while visiting the city. Just be prepared to get there early if you want to get a spot on the beach. If not, then check out the cafe and shops along Campbell Parade and soak up the atmosphere. Once you’ve watched the surfers while not stroll along the Bondi to Coogee Coastal walk? The 6k walk takes in some of Sydney’s spectacular coastline and you’ll discover some less crowded beaches. A boat trip around Sydney Harbour is probably on many visitors wish list when in Sydney but while there are plenty of tourist boats nothing beats the Manly Ferry. The half-hour journey takes you right across the harbour, past the Sydney Opera House and the entrance to the harbour where the Pacific ocean roars in (it can get a bit bumpy so watch out). Once you’ve arrived in Manly make sure you visit the beach. Wander across the Corso, lined with cafes, shops and pubs, to Manly Beach. Or head to the south of the beach and follow the walkway to Shelly Beach. Maybe one just for the Brits? Neighbours didn’t have it all its own way back in the 80s and 90s. Home and Away was just as popular in my crowd, being that little bit edgier and slightly cooler. So if you were a fan back in the day then head up to the northern beaches and visit Palm Beach AKA Summer Bay. Yes, it really exists. Kind of. 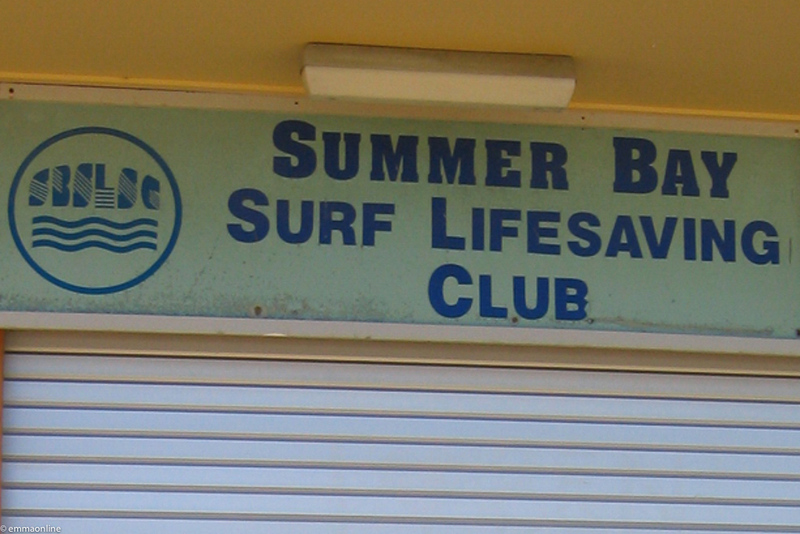 Relive your favourite scenes on the beach – you’ll recognise the beach don’t worry – and get a photo outside the Summer Bay Life Saving Club. Even if you are not a fan (or have never even heard of the TV show), Palm Beach is still worth a visit. Its one of Sydney’s nicest beaches. If you are looking for a day out (or a weekend away) from Sydney then you can’t go wrong with the Blue Mountains. Just two hours away the scenic views with tall trees that stretch out as far as the eye can see will soon shake the city out of you. One for the foodies and wine connoisseurs. The Hunter Valley is Australia’s oldest wine growing region. With over 150 wineries and restaurants you’ll never run out of places to eat and drink! Byron Bay is a must-see on the backpacking trail and should be on your wish even if you are not a backpacker. While the town has a laid back vibe there is plenty to keep you busy here. Learn to surf, relax on the beach, check out the many cafes or watch out for whales and dolphins. 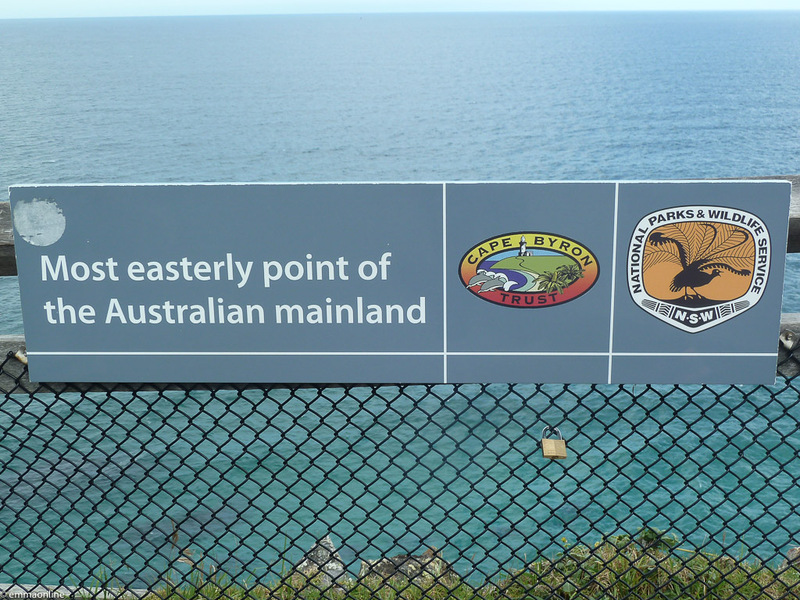 You’ll also find the most easterly point of mainland Australia on the Cape Byron walking track. Enjoy stunning coastal views on the walk up to the lighthouse. It’s fair to say the Aussies love their sport. 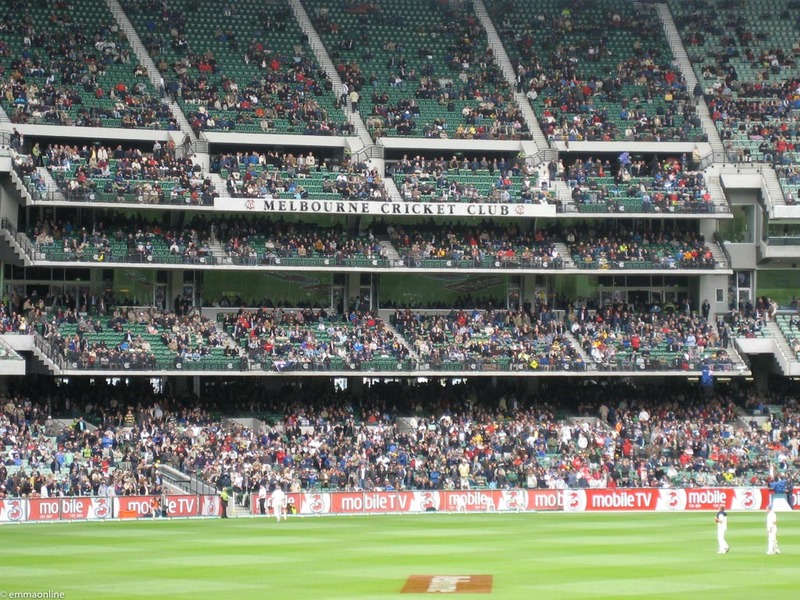 Melbourne is one of the great sporting cities in the world. You are spoilt for choice of world-class events to watch here. From the Boxing Day Test (Cricket) to the Australian Open (Tennis) to the Australian Grand Prix (F1) to the Melbourne Cup (Horse Racing). Melbourne comes alive around sporting events. So much so you can almost forget being well and truly beaten in the cricket! The Great Ocean Road has got to be one of the most spectacular coastal drives in the world. And if it isn’t then it should be. Hugging the southern ocean, the Great Ocean Road gives you a beautiful scenic drive with coastal views, bays, beaches, waterfalls and national parks to discover. Lord Ard Gorge – named after the ship Lord Ard which ran aground nearby. The small bay is surrounded by sheer cliffs. It’s best put aside around three days to fully explore, they’ll be plenty of places you’ll want to stop off at. However, if you are short on time you can see the highlights in a day. At the end of long day at sea when you just want to get home and put your feet up, the last thing you want is an audience watching you waddle up the beach but that’s what the Little Penguins of Phillip Island have to put up with. Each night a sunset a crowd gathers to watch the smallest penguins in the world head home. 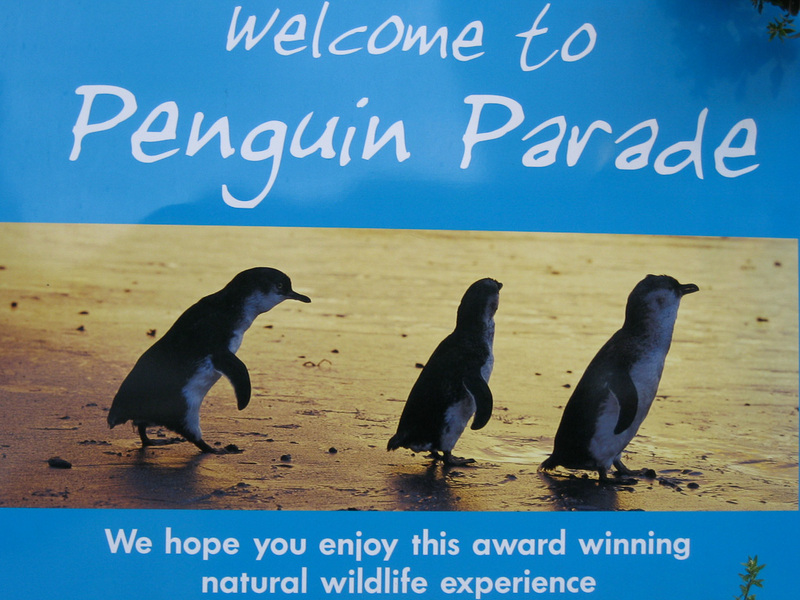 The Penguin Parade offers you a variety of different viewing experiences from a grandstand overlooking the beach, to a platform alongside the most popular pathway (the penguin’s very own version of London’s Oxford Street – it’s that crowded). If you want to get really up close and personal, eye level and underground viewing options are also available. It is super cute to watch and well worth the 90-minute drive from Melbourne. Around three hours drive out of Melbourne, the Grampians National Park is a great place for a weekend break. Mountain scenery, spectacular landscapes, hikes, great food and wine, there is something for everyone whether you are looking for an adventure or a bit of time to relax. Just offshore of Perth, Rottnest Island (or Rotto as the locals call it) is a protected nature reserve – a car free island paradise. Here you can surf, swim, sail or just relax on one of 63 beaches. Look out for the local residents, the super cute Quokka’s. Native to the island, the Quokkas are part of the wallaby family and are apparently one of the happiest animals in the world. If that doesn’t make you smile I don’t know what will! Three hours north of Perth yet a world away. Thousands of limestone spiries as far as the eye can see. How they were formed isn’t entirely clear however it was a very very long time ago. Possibly when the sea receded and the remaining seashells were broken down into the sand and eroded. Though there are a couple of other theories (Google can explain those much better than me). However they were formed they are a sight to behold and one worth adding to your Western Australia bucket list. A popular coastal town 750 miles north of Perth, Coral Bay has something for everyone whatever your budget. As the gateway to the Ningaloo Reef, one of the worlds largest fringing reefs, Coral Bay is a great place to use as a base. The coral gardens are within easy reach of the beach (good for us non swimmers) and there are plenty of tours and activities on offer including kayaking, diving, snorkelling and whale watching. I visited Coral Bay during my first month in Australia and to this day, despite travelling all over the country many times since, it is still one of my favourite places. If you are in Coral Bay then you can’t miss the Ningaloo Reef. You can reach the reef from the beach making it very accessible. As I can’t really swim I have to seek out other ways to experience the incredible sea life Australia has to offer. This is where glass bottom boats come into their own. While it obviously can’t replicate the experience of snorkeling or swimming over the reef it does mean you don’t have to entirely miss out. The glass panels on the bottom of the boat give you a clear view of the coral gardens and hopefully lots of colour fish and if you are lucky Manta Rays and whale sharks as you sail over the reef. There are a few different options of sailing over the Ningaloo Reef so make sure you do your research. Good for non swimmers and those that don’t want to get wet. If you are looking for something more adventours that a boat trip then how about swiming with the local residents? To me a shark is a shark so even though these sharks are just large fish and prefer plankton to humans I’m still not sure I’ll be that keen to get up close and personal with them. However, if you are braver than me there plenty of trips where you can snorkel with them around the Ningaloo Reef. Just make sure you look for a reputable company. Humpback whales migrate along the west coast of Australia so if you have timed your trip right you might be lucky to sport one or two as they take a pit stop around the Ningaloo Reef. If you think of Broome, you’ll probably picture the infamous camel ride along the beach. It may be bit of a tourist trap and I’m sure there many more exciting things to do in Broome but sometimes you just have to go with it. I hadn’t even heard of the Bungle Bungles when I first started my backpacking trip but with a name that that I wanted to know more. World heritage listed, the beehived domes are one of the strangest geological landmarks you’ll ever see. Amazingly they were not known of until the 1980s – get your head around that. The best way to see them is via the air. You can fly in on a plane and then take a helicopter ride over the ranges to get a closer view. Flights operate from April to November. It’s quite a trek up to this part of Western Australia but it is well worth effort! Deep in the remote Pilbara area of Westen Australia, you’ll find the Karijini National Park. Australia’s second largest national park is home to mountains, valleys, rock pools, gorges, walking trails, and waterfalls. When you think of the Whitsunday Islands you probably think of Whitehaven Beach, the picture-perfect stretch of white sand. Unfortunately, it wasn’t quite like that for me when I visited but it is still one of the most stunning beaches I’ve seen. The Whitsundays are made up of 74 islands off the coast of Queensland. Most are national parks but a few have resorts and accommodation. 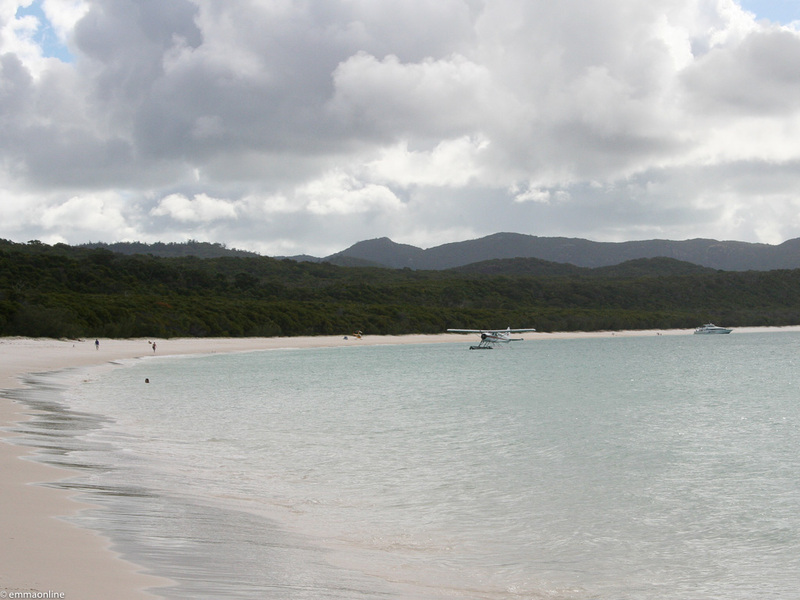 I stayed on Hamilton Island which was a great base to explore from. Another popular way to explore the islands is by boat. You can take a day trip, overnight trip or even spend a few nights crusing around the islands. This world heritage listed rainforest is the oldest rainforest in the world. It is also part of the largest continuous area of tropical rainforest in Australia and where two world heritage sites meet. That’s three good reasons to visit but if you need anymore it’s also home to wildlife and plants you won’t find anywhere else. Take a tour, cruise the Daintree River or stay at a luxury lodge. Whatever you do you’ll be glad you visited. Just watch out for the crocodiles. The Great Barrier Reef is one of Australia’s ultimate bucket list destinations. One of the seven natural wonders of the world, the largest living thing on earth (even visible from space). There are many ways to explore the reef from diving trips to boat trips to flying over it. I took a day trip which covered pretty much all three. After sailing out to the reef you had a choice of snorkelling or going out on a glass bottom boat. Helicopter trips over the reef were also available. A visit to Fraser Island is undoubtedly a highlight to the east coast of Australia. I’ve been back twice now, I loved it so much. Panoramic views, long beaches, coloured cliffs, freshwater pools and even a shipwreck, the world’s largest sand island has it all. It’s also another world heritage listed site in Australia, I’ve lost count of how many they have now. Made entirely of sand there are no sealed roads so it can be a challenge exploring it yourself. So if you want to see the best of Fraser Island without the stress jump on one of the many tours available. You can see it a day – it’s a very long day trip though! -so to really make the most of the island it’s best to spend a few nights there. 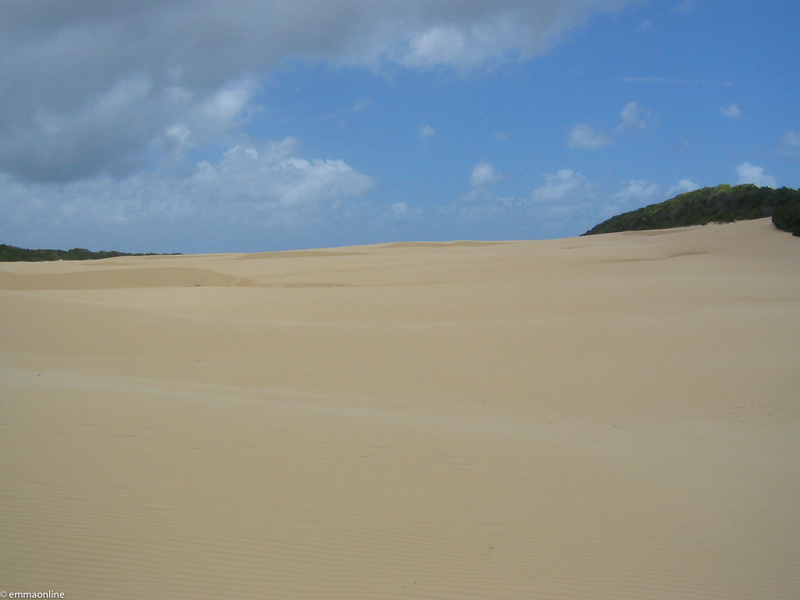 Sand dunes on Fraser Island. It’s a long walk to the lake over the horizon. Just 90 minutes north of Brisbane, Noosa is the ideal spot for a weekend break. Stroll along Hastings Street, walk the coastal walk in Noosa’s national park, relax on Main Beach or tour the Everglades. There is something for everyone in Noosa. Don’t let its reputation as one of Australia’s most popular holiday destinations put you off. I’ve stayed there on a backpackers budget twice and had a great time. In fact, it’s still one of my favourite places in Australia. 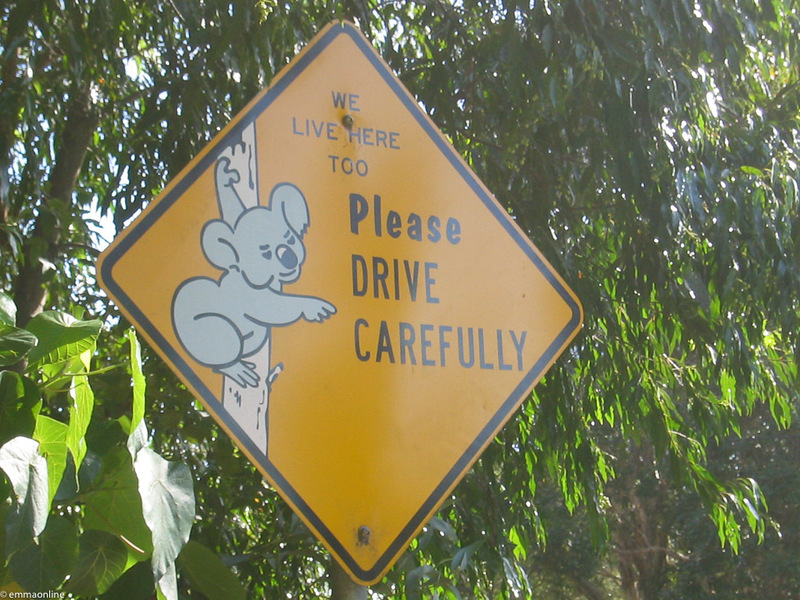 Look our for the resident Koalas here too! 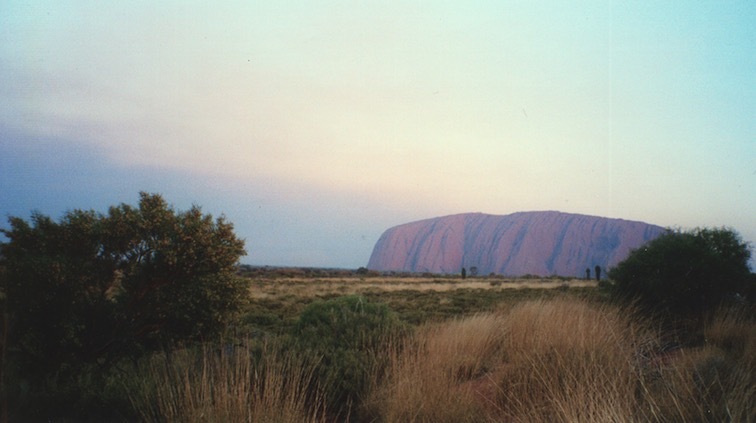 One of the most iconic images of Australia, Uluru is a spectacular sight. Nothing quite prepares you for that first glimpse. The base walk is the best way to really experience the magic of Uluru, you really get to appreciate its scale and beauty. The walk took me around three hours but that included lots of time to stop and take in all the different features. You can also see the sun rise and set (when the light gives the rock a different hue), dine under the stars, take a motorcycle tour and even sky dive at Uluru. While in the Uluru-Kata Tjuta National Park, make sure you also visit The Olgas. The sandstone domes often get overshadowed their neighbour but they are a sight to behold themselves. Adelaide is one of the Great Wine Capitals of the world so if you are a wine-connoissur a trip to South Australia is must. Visit the Adelaide Hills, the Barossa Valley or the Southern Flinders Ranges for some award-winning wine tasting. Just off the coast of South Australia (around 70 miles southwest of Adelaide) Kangaroo Island is a sanctuary for wildlife. Breathtaking scenery and wildlife you won’t see anywhere else. What’s not to love? Swim, surf, hike, chill out or visit the seals at Seal Bay. Whatever you do you’ll be wishing you stayed a bit longer. Vehicles are allowed on the Island so you can do your own self drive tour. Alternately, there are many tours you can take. Canberra probably isn’t at the top of many people’s Australian bucket lis but as home to many of the countries national museums and galleries it’s certainly worth a visit. Visit Parliament House, the National Museum of Australia, the National Gallery of Australia. Many of the capitals attractions are free of charge. So that’s my ultimate Australia bucket list. It’s by no means definitive but these are the things or places I’ve enjoyed the most on my trips to Australia. I hope it gives you a few ideas for your trip. It’s given me a few reasons to start thinking about revisiting some of them. If you think I’ve missed anything out or want to share your own experiences of these places then let me know in the comment below. I’d love to hear them. Great post! Seriously making me look for flights back there now! Ahhh this made me feel all nostalgic. So many of these places bring back memories! I must make it my mission to get back to Australia!